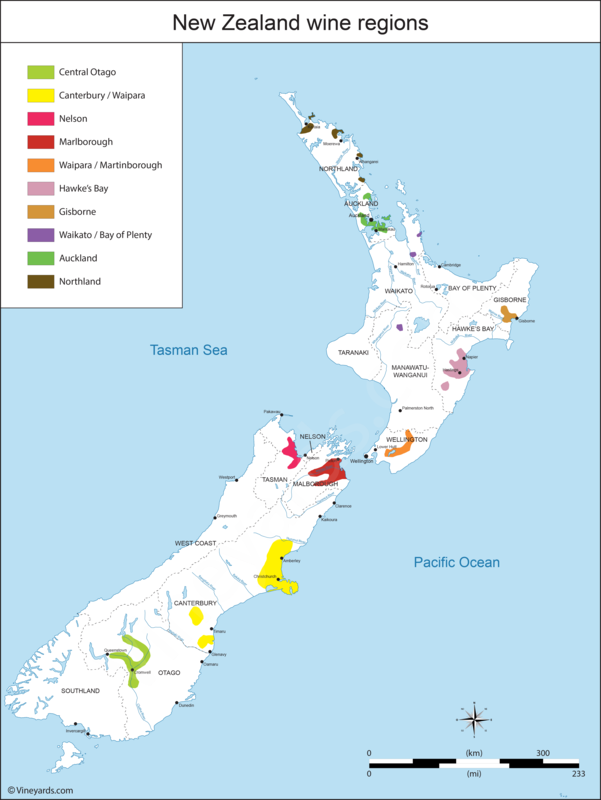 Map of the vineyards of New Zealand: 45 000 hectares of vines in its wine regions: Marlborough, Waipara, Martinborough, Hawke's Bay, Auckland, Canterbury, Central Otago, Nelson, Gisborne, Bay of Plenty and Northland. Sauvignon blanc and Pinot noir are the main varieties but New Zealand vineyard goes beyond these two. A beautiful country and vivid wine industry to explore.